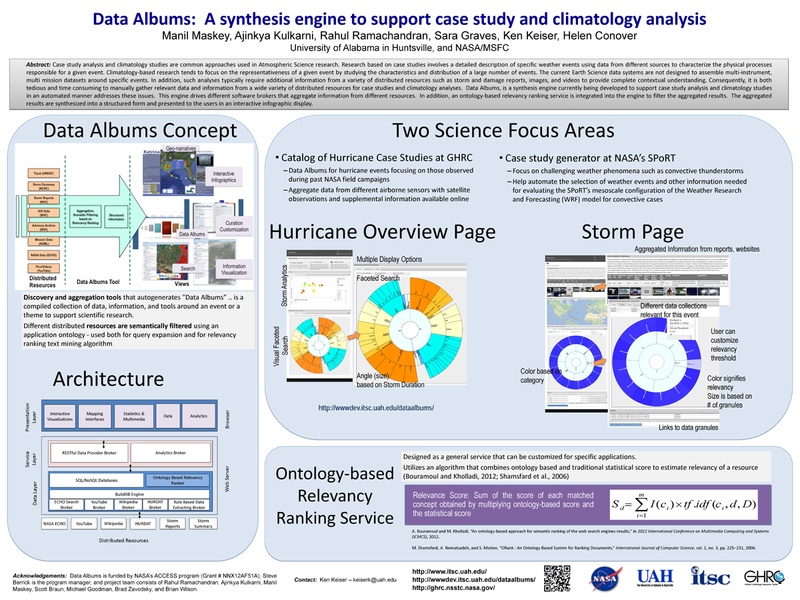 Tilmes C, Pinheiro APrivette, Chen J, Ramachandran R, Bugbee K, Wolfe R. Linking from Observations to Data to Actionable Science in the Climate Data Initiative. 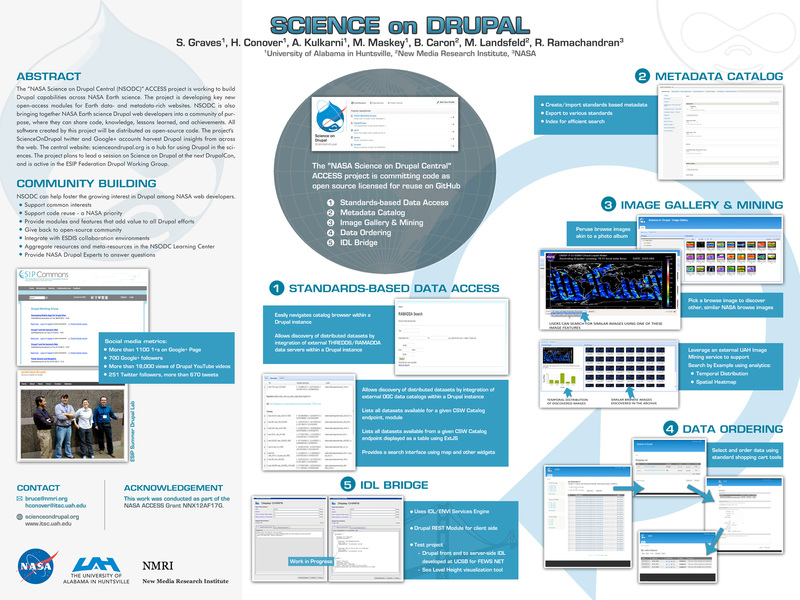 In: IEEE Geoscience and Remote Sensing Symposium (IGARSS 2015). IEEE Geoscience and Remote Sensing Symposium (IGARSS 2015). Milan, Italy: IEEE; 2015. 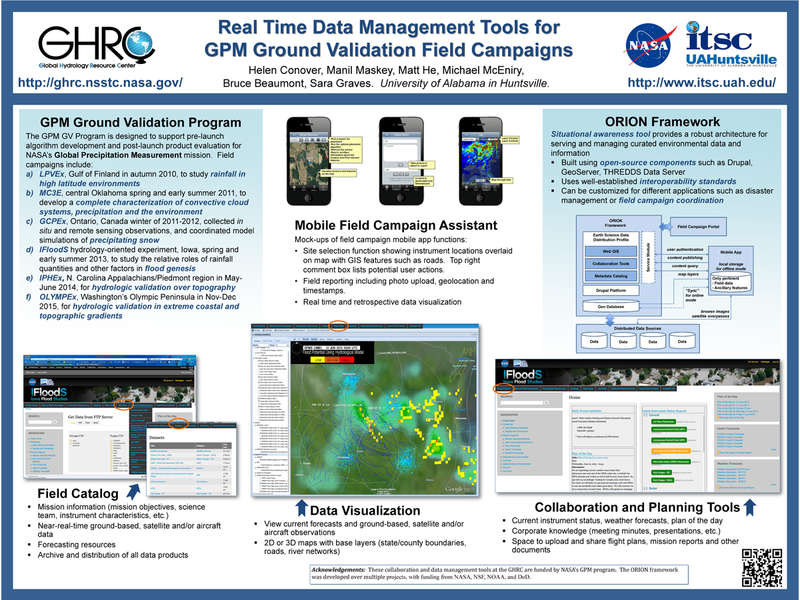 Graves S, Keiser K, McEniry M, Maskey M. Providing Event-Driven Real-Time Data. In: ESIP 2015 Summer Meeting. ESIP 2015 Summer Meeting. Asilomar, CA: ESIP; 2015. 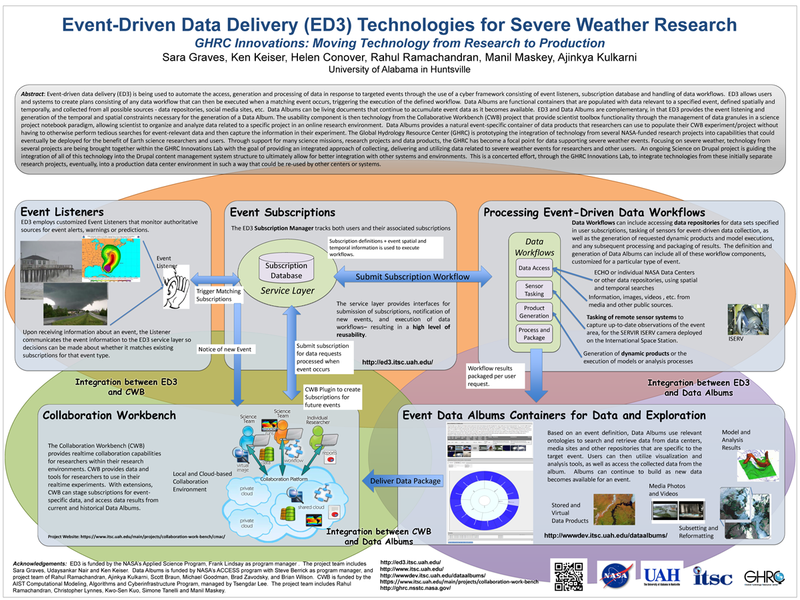 Graves S, Nair U, Tavis A, Keiser K, McEniry M. Using Event-Driven and Real-Time Data During Disasters. In: ESIP 2015 Summer Meeting. ESIP 2015 Summer Meeting. Asilomar, CA: ESIP; 2015. 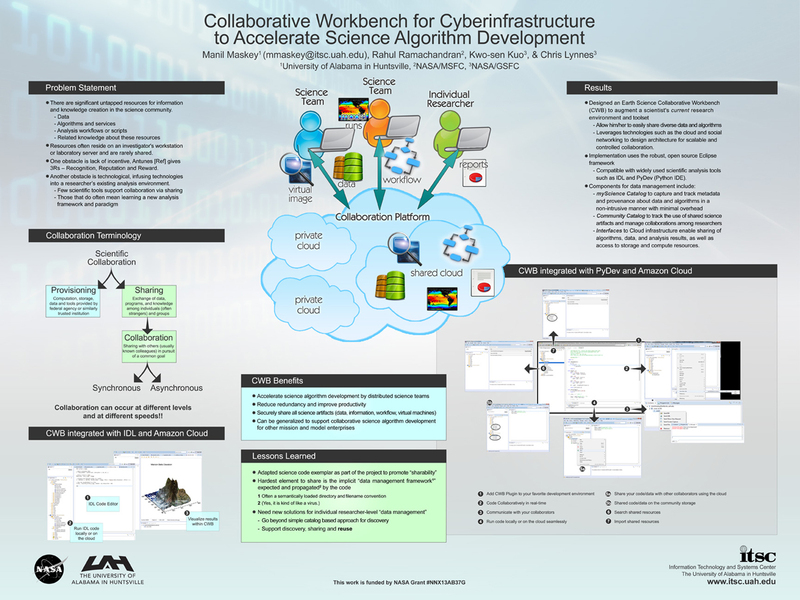 Ramachandran R, Kuo KS, Lynnes C. Collaborative Workbench to Accelerate Science Algorithm Development. IEEE Earthzine. 2014 . Keiser K, Maskey M. A Data Planning Framework for Disaster Response. In: ESIP 2013 Summer Meeting. ESIP 2013 Summer Meeting. 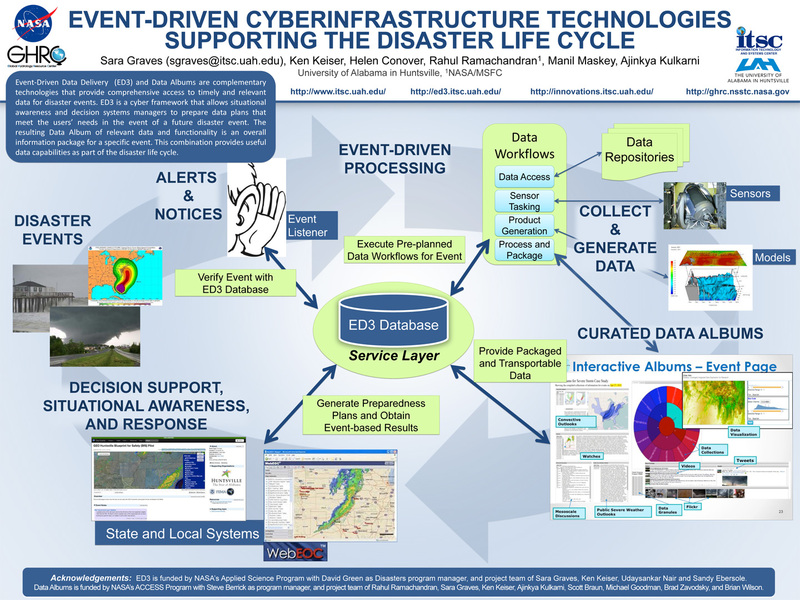 Chapel Hill, NC: ESIP Summer Meeting – session on Data System Architecture in Support of Disaster Response and Awareness; 2013.